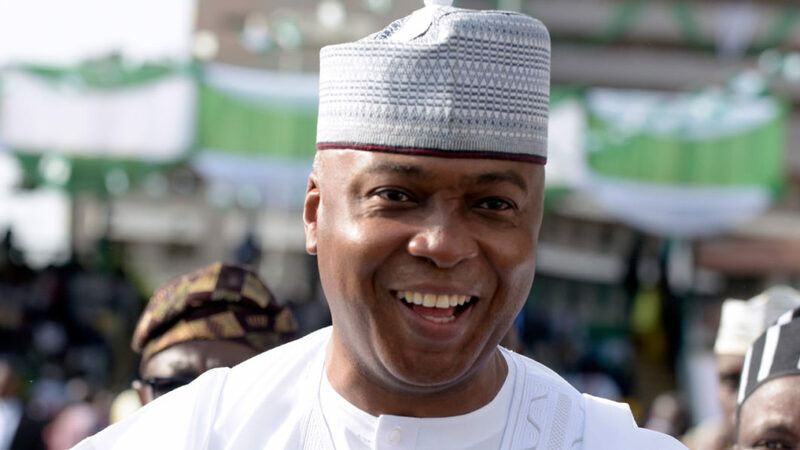 Nigeria’s Senate President Bukola Saraki has called for an emergency meeting of the leaderships of the federal lawmakers. The meeting, scheduled to hold by noon on Tuesday, is expected to have in attendance principal officers of the Senate and the House of Representatives. The leadership of the two chambers have come under intense pressure to reconvene the federal legislature over certain issues. Bamikole Omisore, an aide of the senate president on international relations, said the lawmakers would also meet with Mahmood Yakubu, chairman of the Independent National Electoral Commission (INEC) on the same day. “NASS leadership will tomorrow meet at noon to consider some national issues. The National Assembly leadership comprises both @NGRSenate and @HouseNGR,” he tweeted. Recall that the Senate and the House of Representatives proceeded on annual recess on July 24 to reconvene on September 25. The meeting is coming hours after a plea from the senior special assistant to the president on national assembly matters to the leadership of the national assembly to reconvene and treat pressing issues such as the 2019 elections budget and the supplementary proposed budget. He said the country risks a total government shutdown if the National Assembly does not reconvene soon. 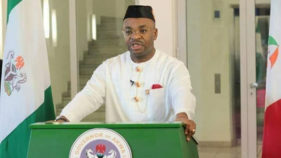 But Nigeria’s leading opposition party, the People’s Democratic Party (PDP), said the call for the National Assembly to resume before the September 26 earlier scheduled is a matter of Enang’s personal wishes. PDP spokesman Kola Ologbodiyan said Enang had no power to force the lawmakers to reconvene and accused him of overreaching. “As a matter of fact, Senator Enang was the Chairman, Senate Committee on Rules and Business, in both the House of Representatives and the Senate,” Ologbodiyan said.